I've tried to do the repair/install method. But i'm still having the same issue with WIndows not recognising any dvd. In explorer, it shows as a win 7 dvd and when you click properties it shows it is at full capacity, but when you try and open the disc, it treats it as blank cd/dvd with the relevant options. This happens with all the disks I have tried. Does the CD/DVD optical drive work with other DVDs? It works with film dvd, and other software cd's. I've tried the windows. I've tried the windows dvd in another machine and it's fine. My dvd player itself works fine, ite detects what it is until you try and open it. Would the changing of those upper and lower registry values of affected this? Well you were not suppose to delete upper and lower registry values for the CD/DVD optical drive have you? Download Microsoft Fix it Center Portable utility it should have option to repair CD/DVD optical drive errors in Windows 7. That was from when I was in the Malware section, don't kow if it was specific to the dvd, but I recall reading about it sometime ago. It's the only major change I can think of as to why it's not working now.I'll try the fix it application now. EDIT: I've tried the fixit app and I get an error with code 80072EFE "we're sorry but the program encountered an error while trying to contact the server, please try again later"
Uninstall CD/DVD optical drive from Device Manager and restart your computer this will reinstall all missing registry values. I've tried that option, but still to no avail. Do you have Windows 7 retail product key? I'm afraid not, just the cd, it was pre-installed on the laptop, there was a sticker on the laptop with it on, but that came off some time ago. I did think about downloading the standalone iso package for windows. I have sudden;y been able to install one of the updates that was failing though. So something has changed along this process. Please give me little time to write you instructions on how you can download and mount Windows 7 ISO image. You can use Magical Jelly Bean to view your Windows product key if that is Windows already activated. Download Windows 7 Disc Images (ISO Files) from Microsoft server using your Windows retail product key. If you have a OEM product key then download the Windows 7 Professional ISO image from below link. You may have to uninstall Service Pack 1 as this Windows 7 ISO image does not have Service Pack 1 integrated in ISO image. You will need to mount the Windows 7 ISO image and double click the Setup.exe file to start repair install (in-Place Upgrade) process. You can use WinCDEmu to mount the Windows 7 ISO image. Install WinCDEmu and give it permission to install the hardware driver it requires. After you do, just double-click a disc image file to mount it. 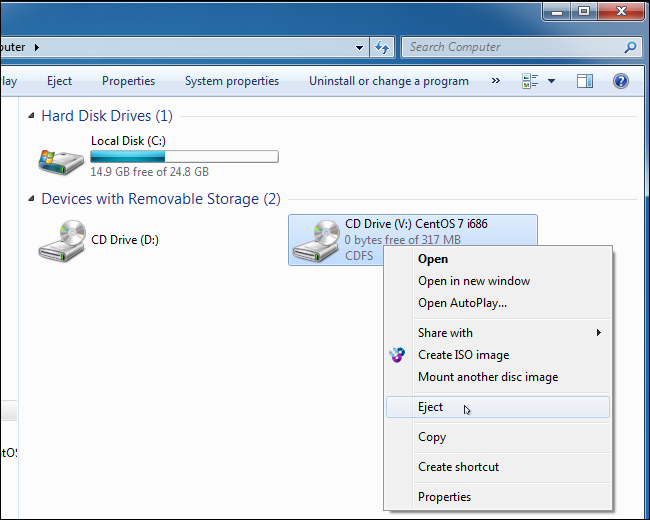 You can also right-click a disc image file and click “Select drive letter & mount” in the context menu. To unmount the disc image when you’re done, right-click the virtual disc drive and select “Eject”. Thanks for that info. I will work on this through the night and get back to you tomorrow morning with the results, unless it comes together sooner. Right, I’ve done those steps. CD player works, I can now update windows so far, the main error messages have disappeared. I can also run and install malware bytes. Only issue remaining on this short test is.. a very slow start up, with few programs loading, and the sleep issue. My system froze when trying to resume from sleep.